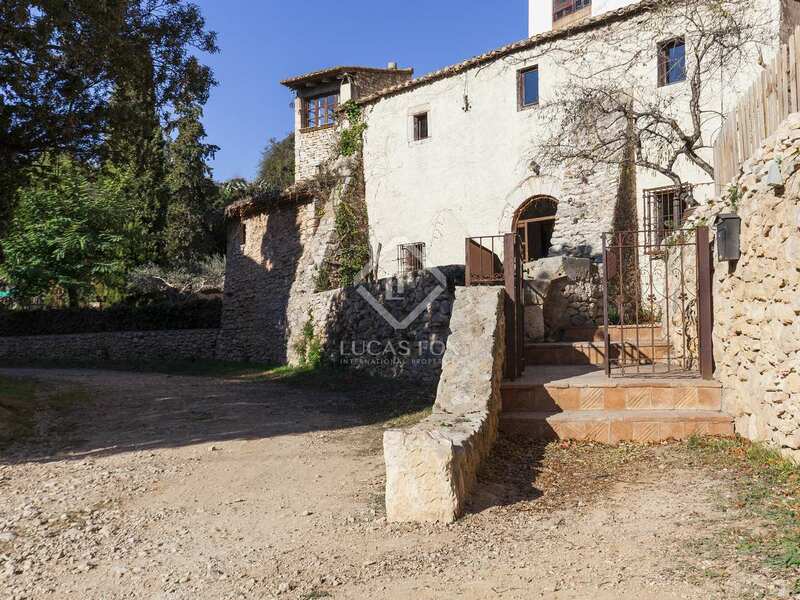 Outstanding historic masia of 478 m² from the 1700s with a viewing tower and beautiful exteriors with a pool, vegetable garden, chill out area and various terraces, in the historic area of Sant Pere de Ribes, below the castle. 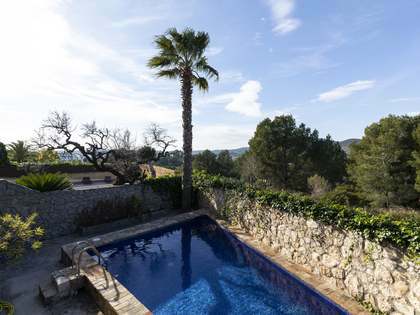 It is conveniently located walking distance to all local amenities and public transport to Sitges and Barcelona. 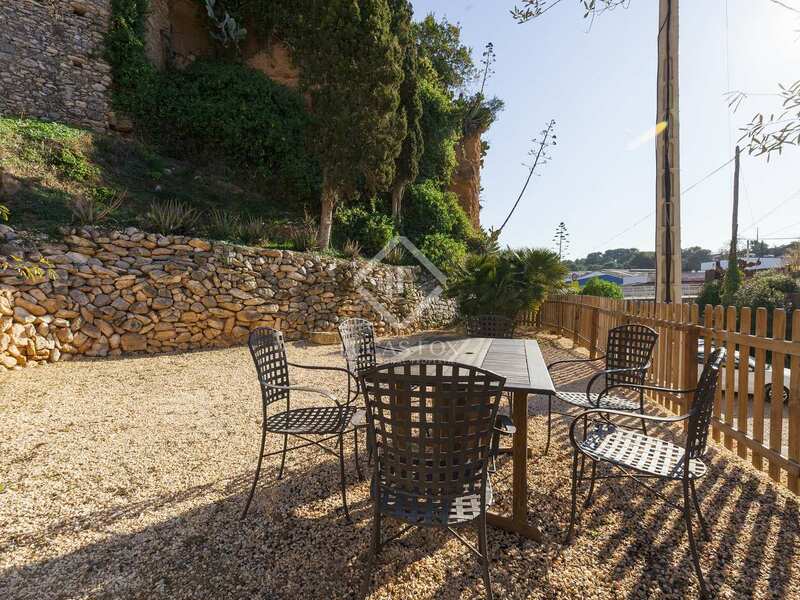 It is just a 5-minute drive from the bustling cosmopolitan coastal town of Sitges. 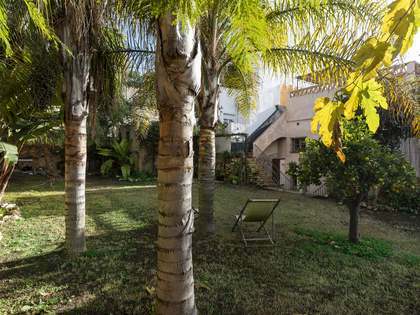 It is in a very sought after quiet neighbourhood with only a few other similar period properties and a 2 minute walk from a park and sports centre with both indoor and outdoor pools. 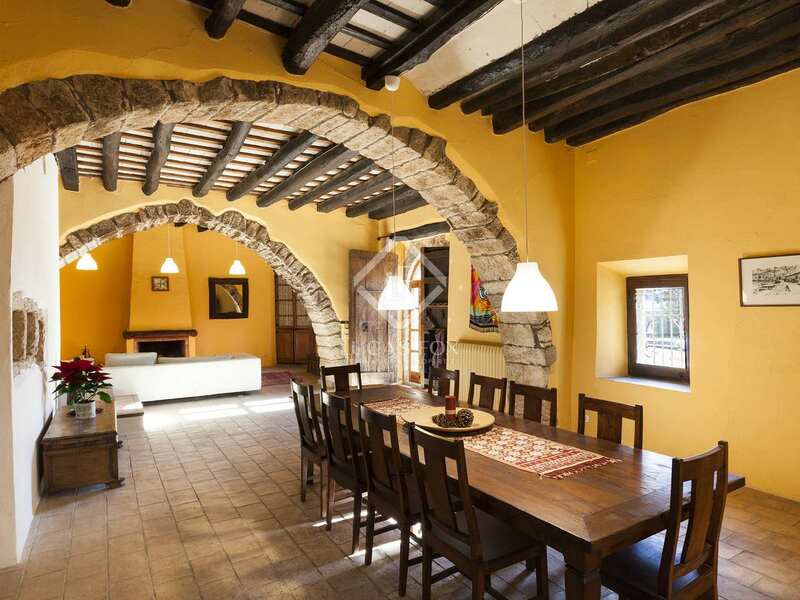 On the ground floor, large antique double wooden doors open onto a huge living - dining area with a fireplace and very high ceiling with exposed beams and stone arches. There are steps up to a large kitchen which leads to another airy dining space which opens directly onto the garden. 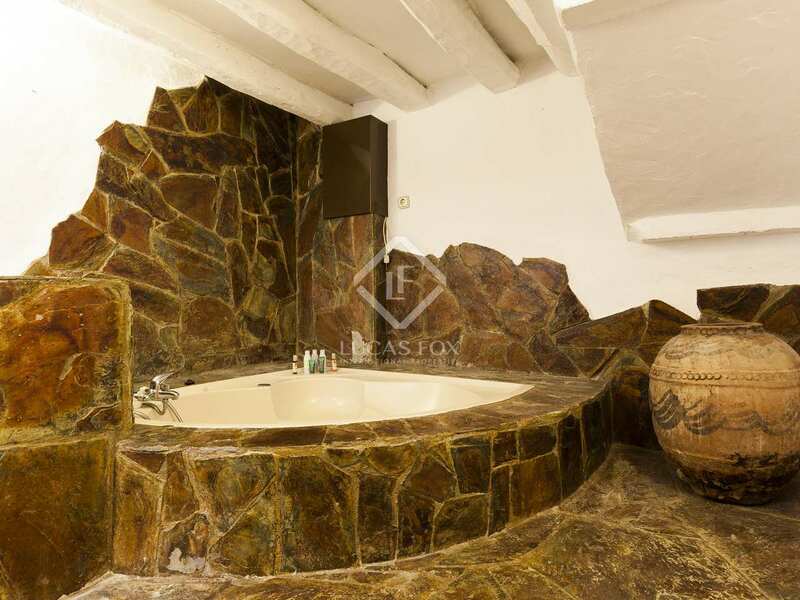 Leading off of the living area is a separate 1-bedroom apartment with a kitchen, living room with a fireplace and a bathroom with stunning antique marble bath. 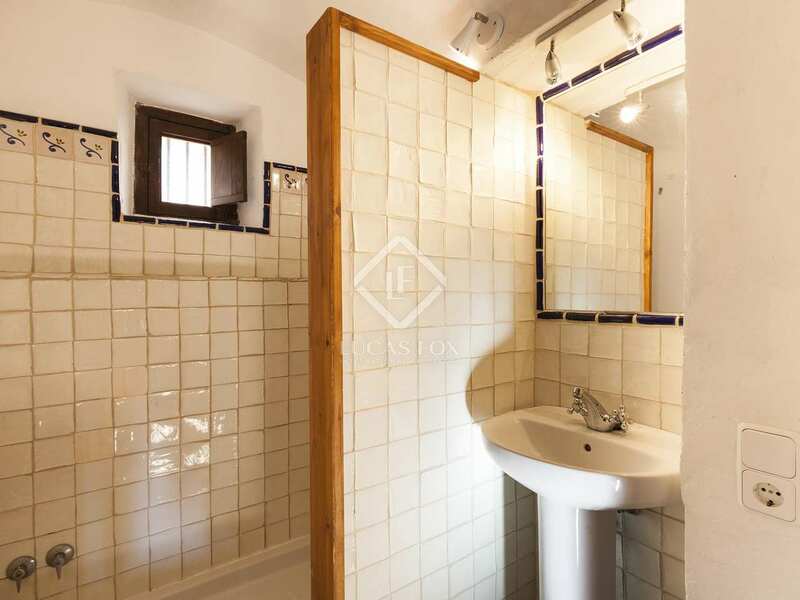 The apartment also has independent access. 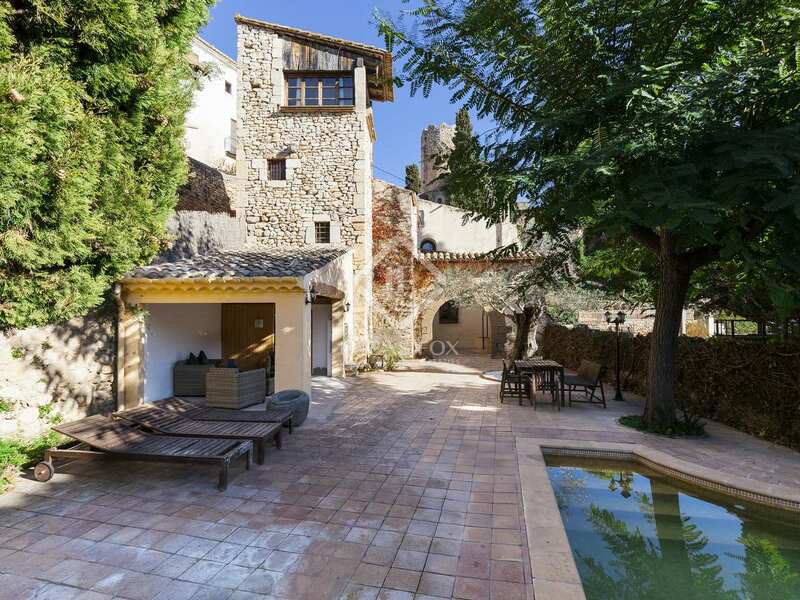 The first floor offers a very large landing/living space with several steps off to the 5 double bedrooms, 3 of which are en-suites and one of these has a fireplace and access to the tower. 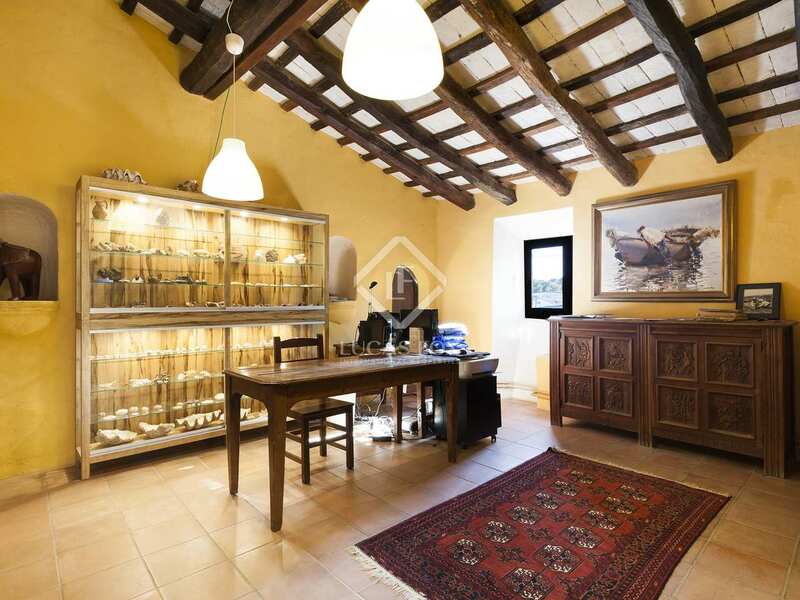 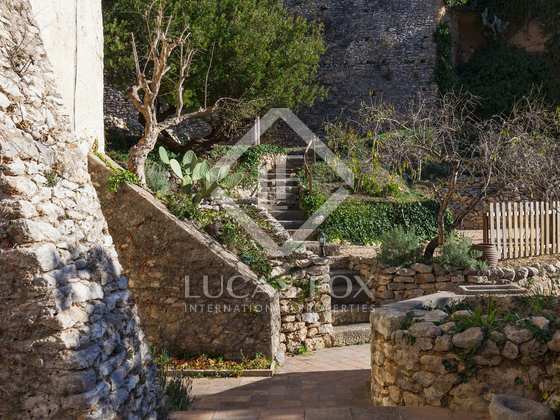 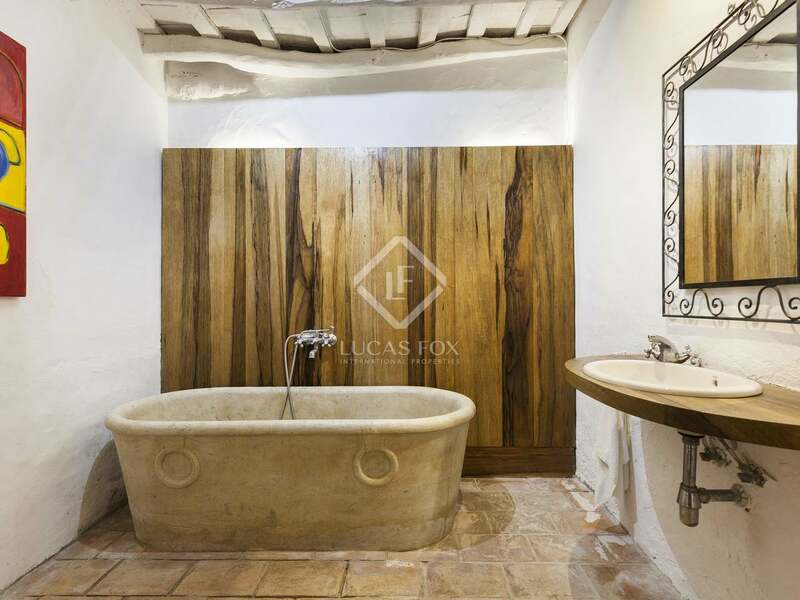 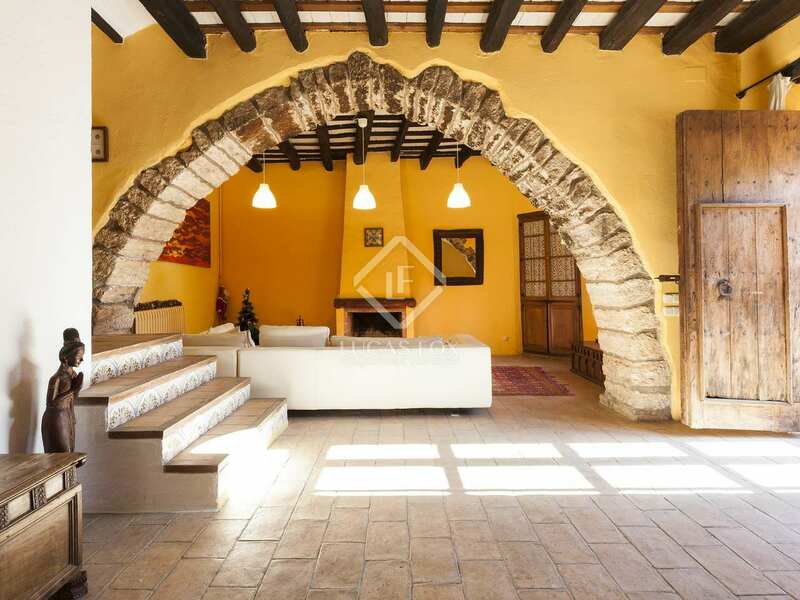 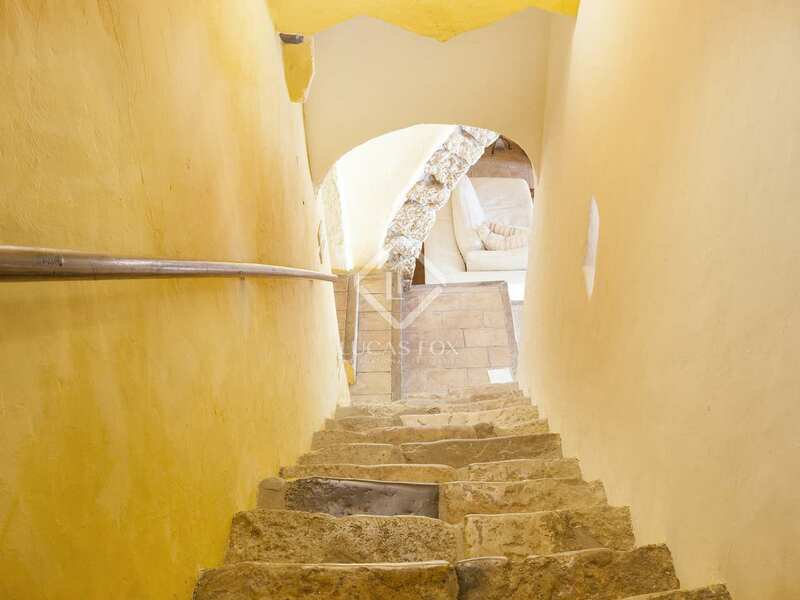 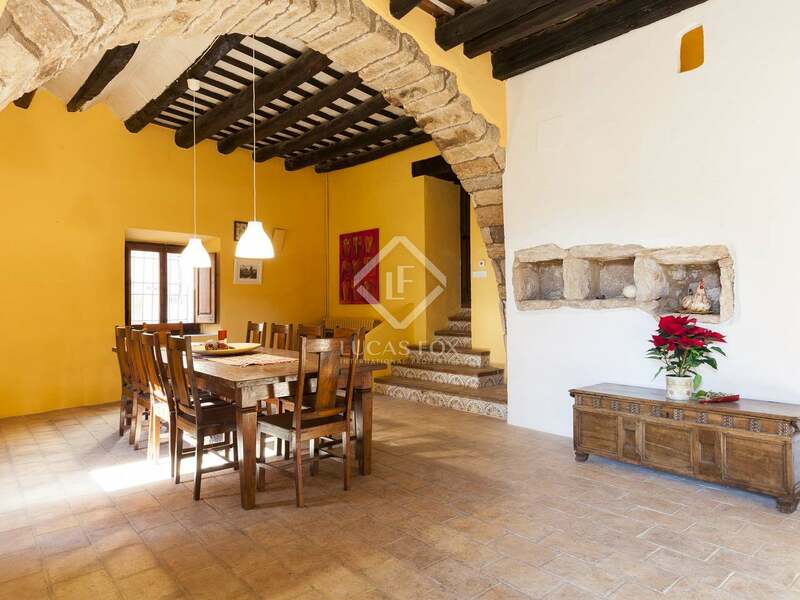 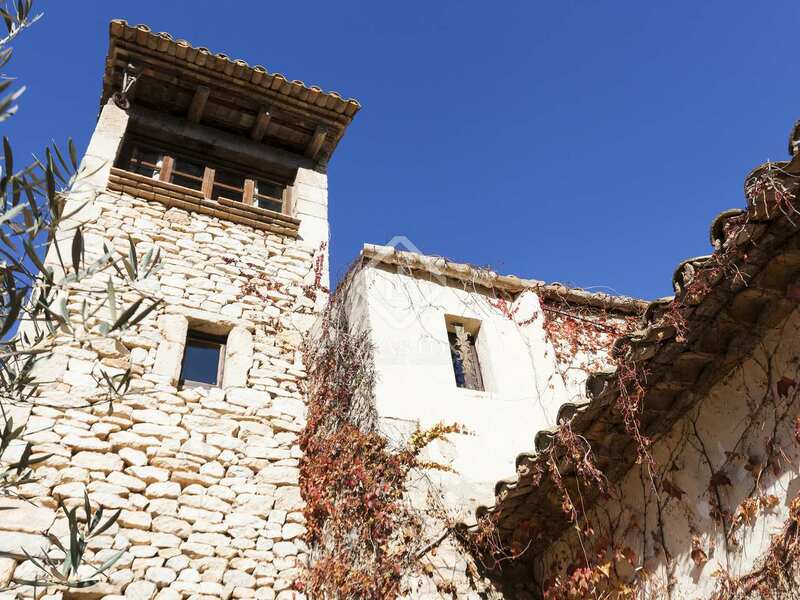 The property boasts many charming original elements such as the stone paved floors, high ceilings with exposed wooden beams, stone arches and the viewing tower and also terracota floor tiles. 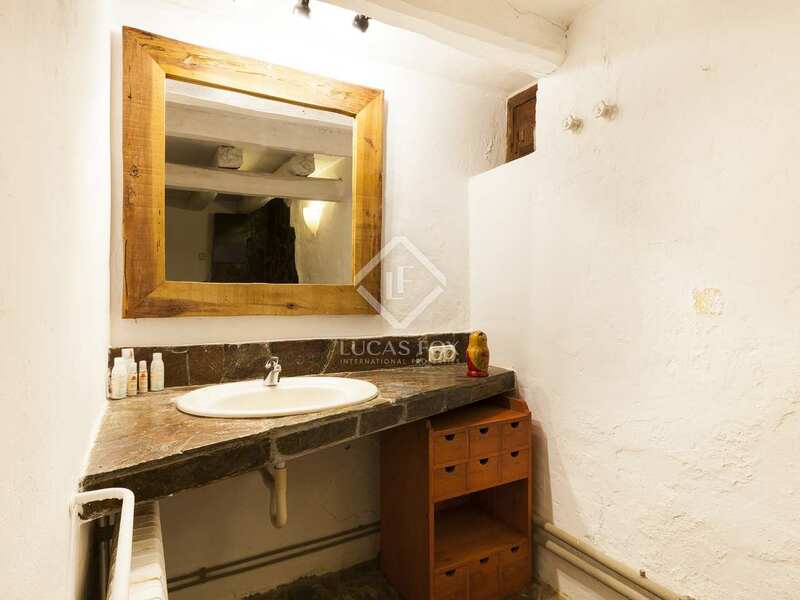 Additional features include a sauna and an outhouse in the garden with 2 toilets. 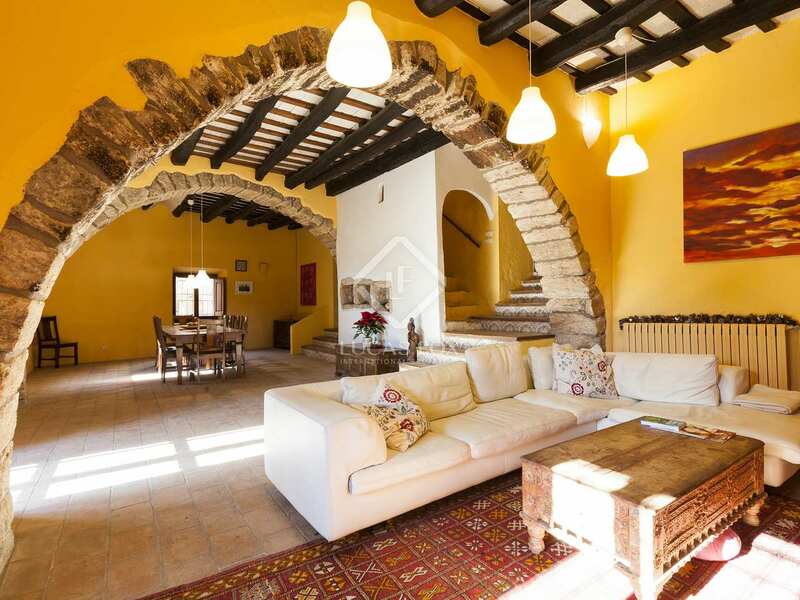 It would be ideal as a unique family home, a B&B or holiday rental business. 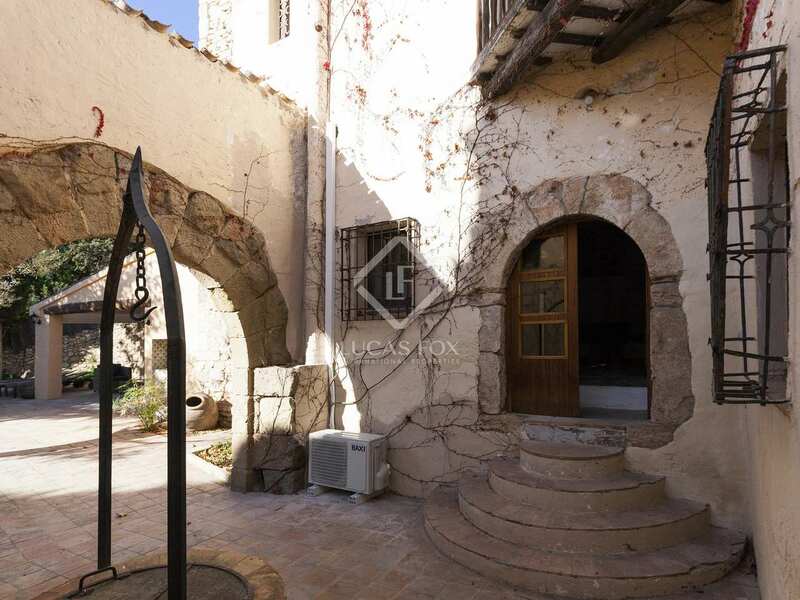 A very rare opportunity to acquire a property of this type in a town. 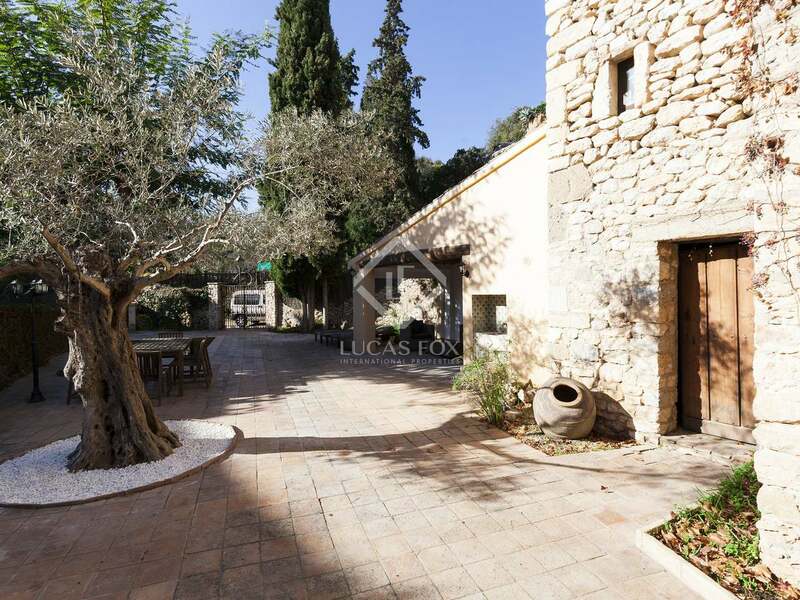 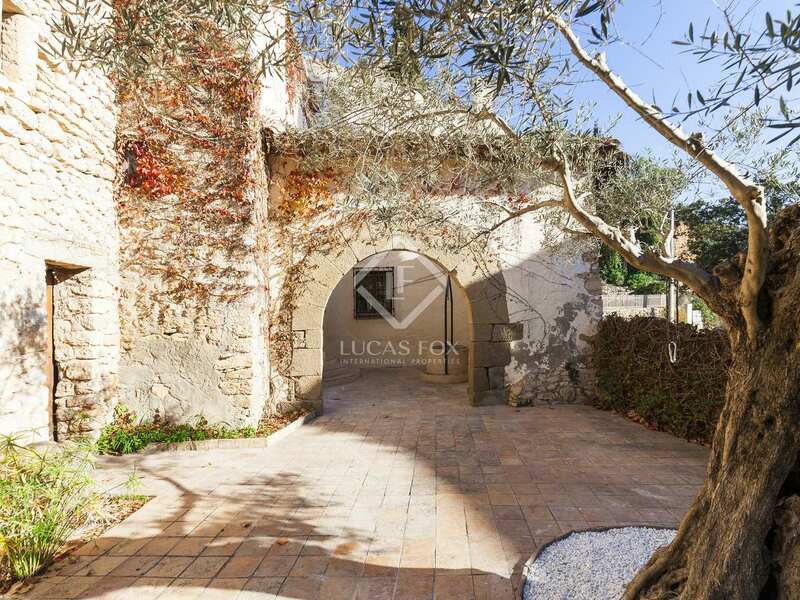 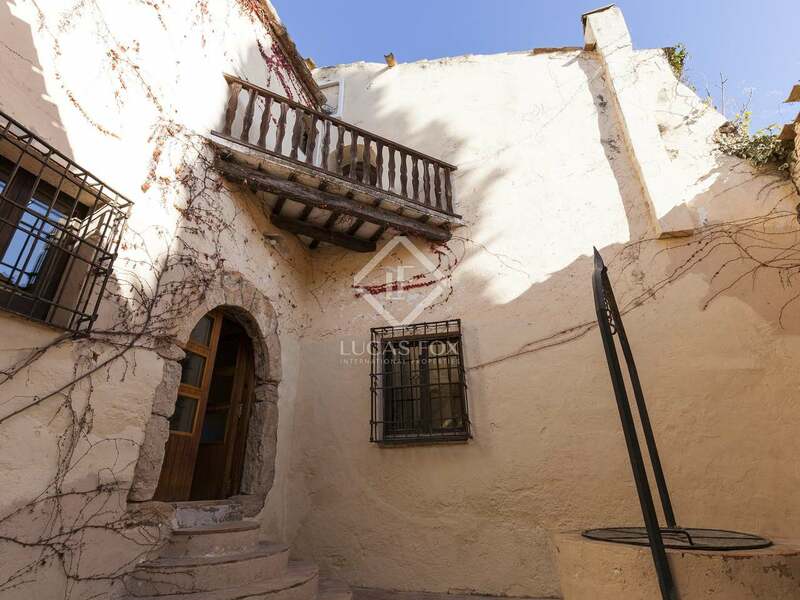 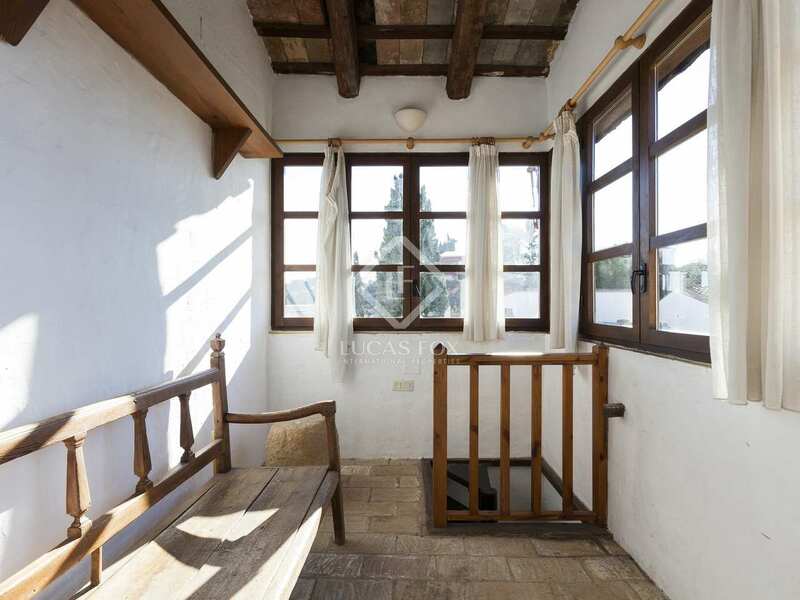 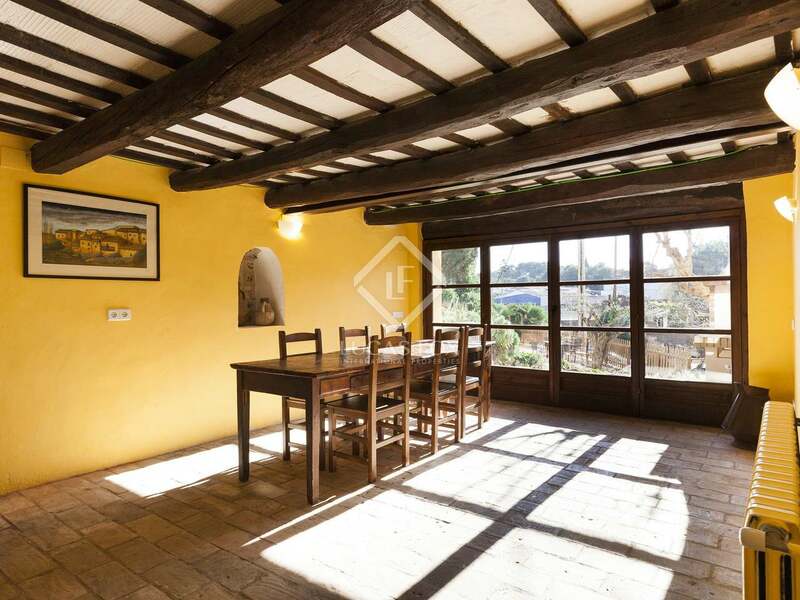 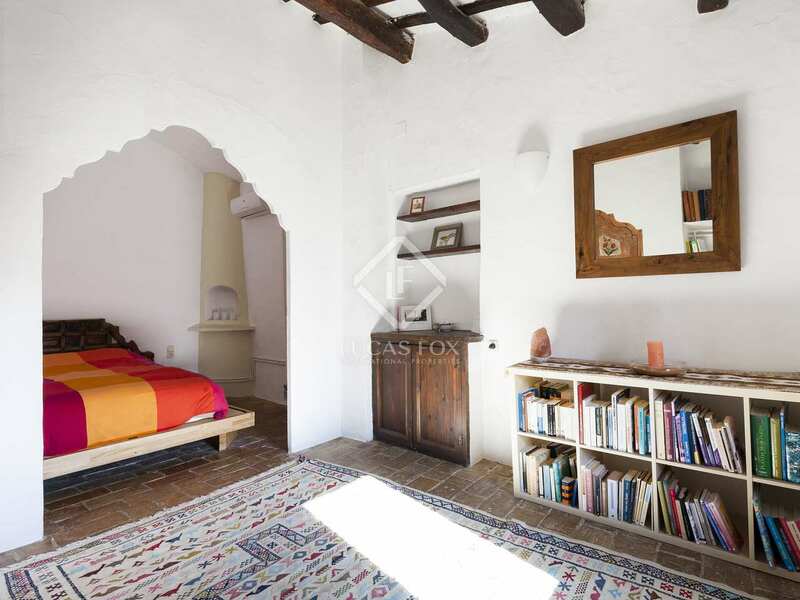 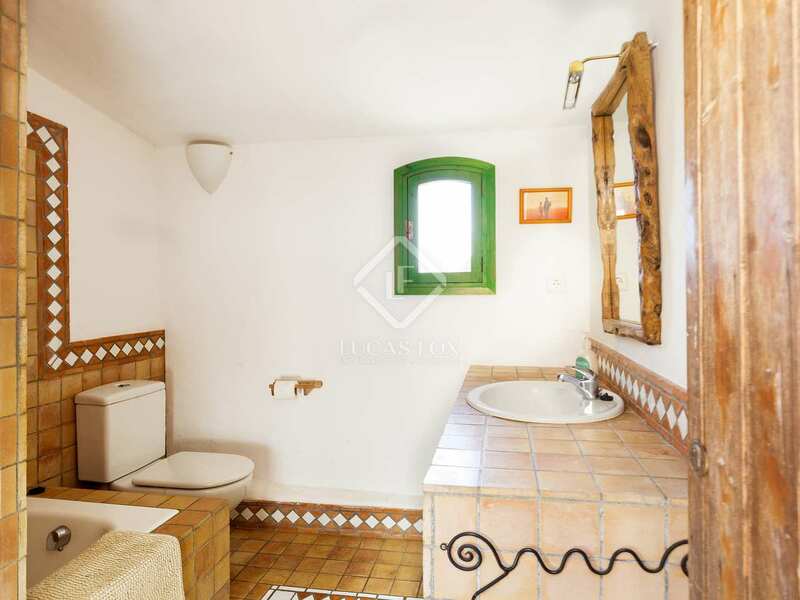 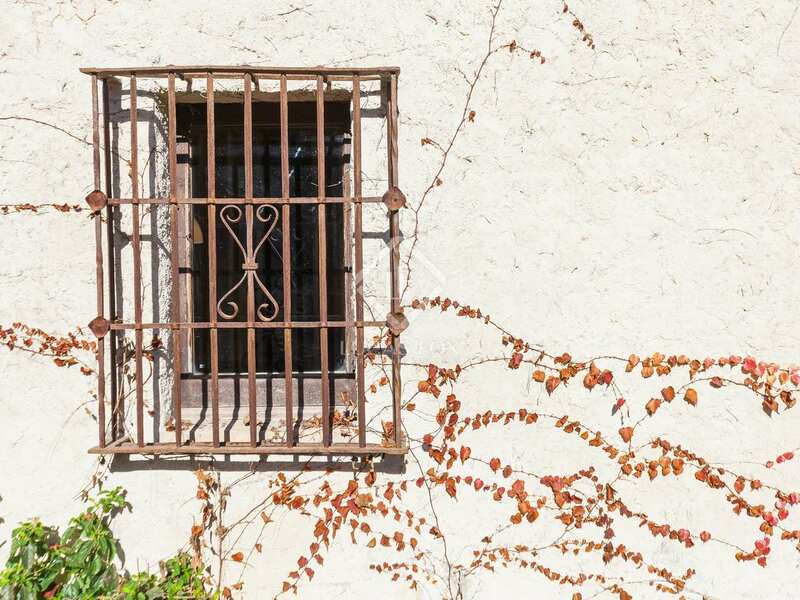 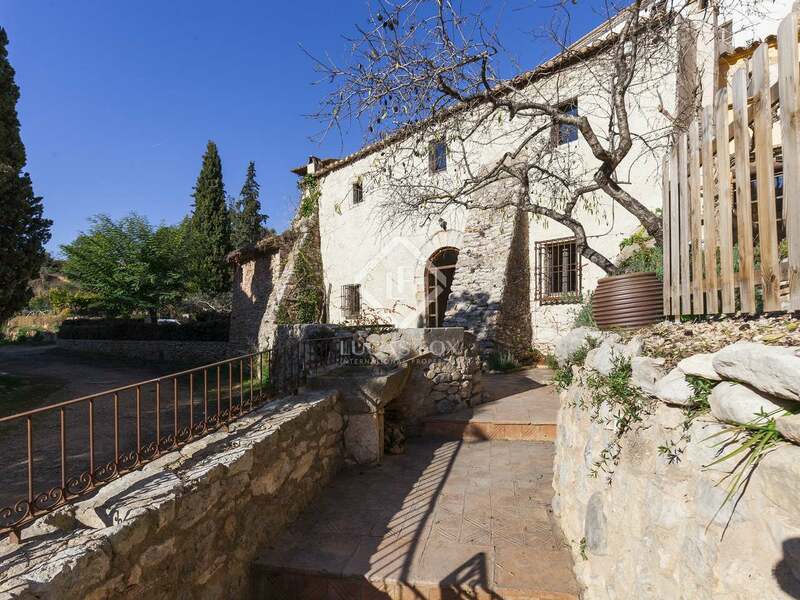 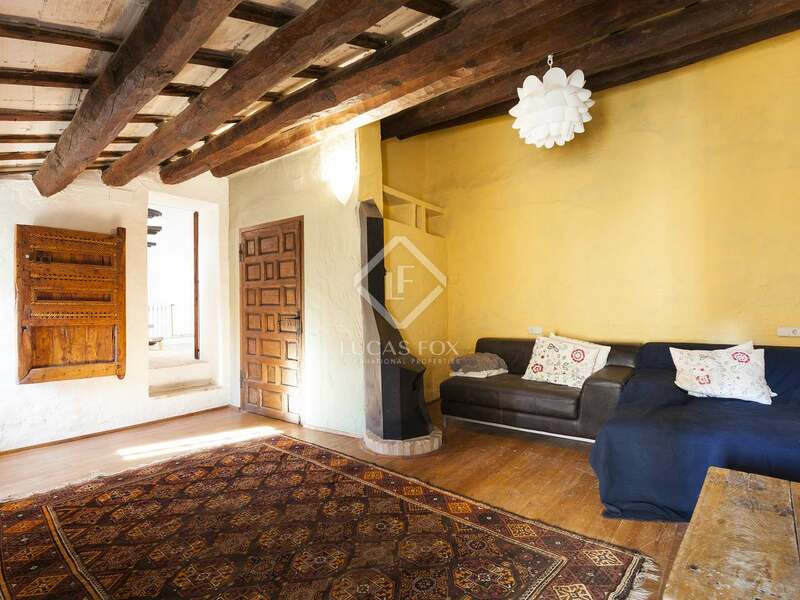 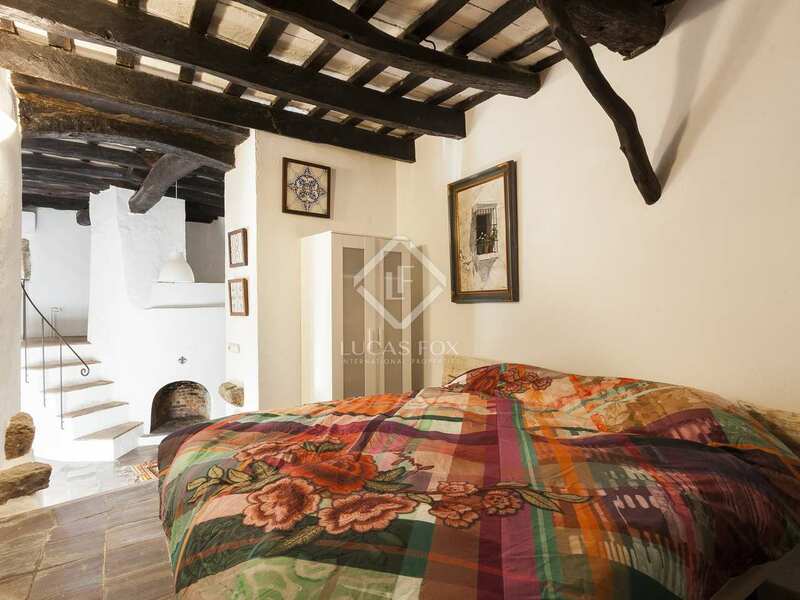 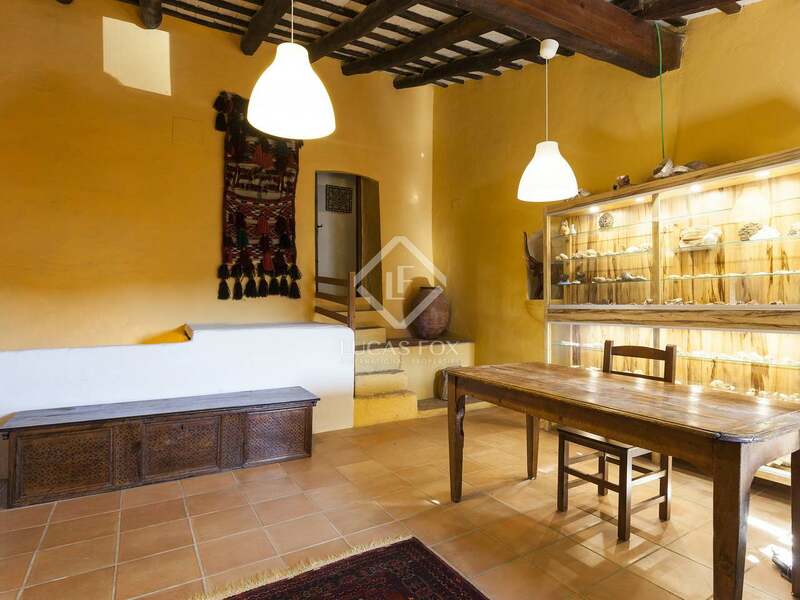 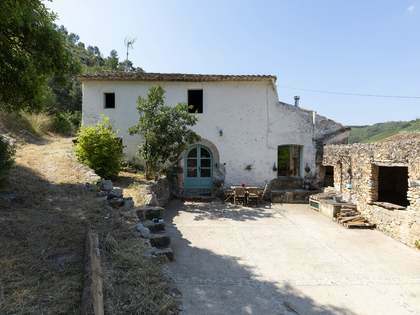 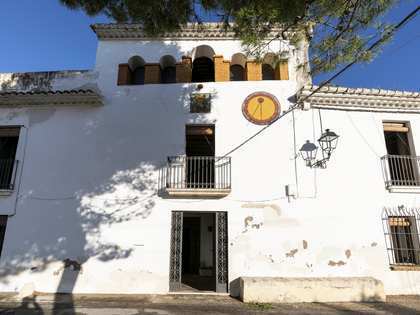 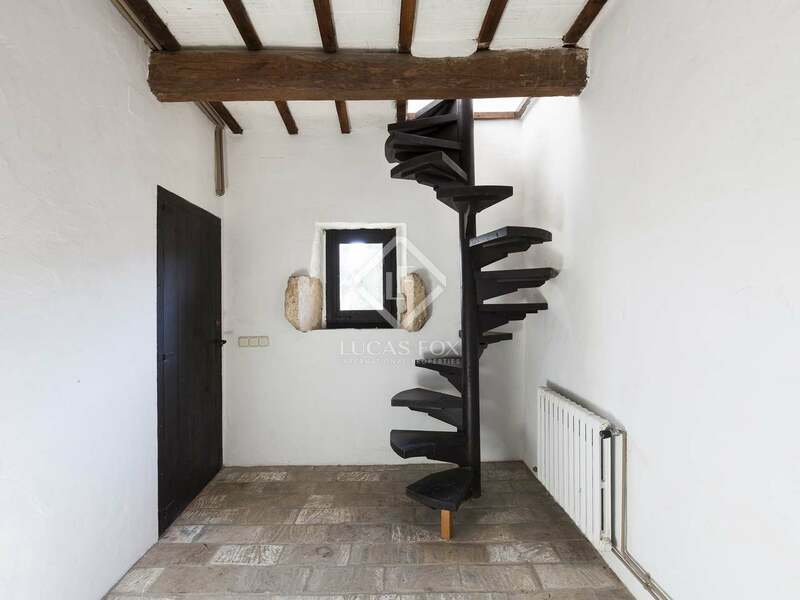 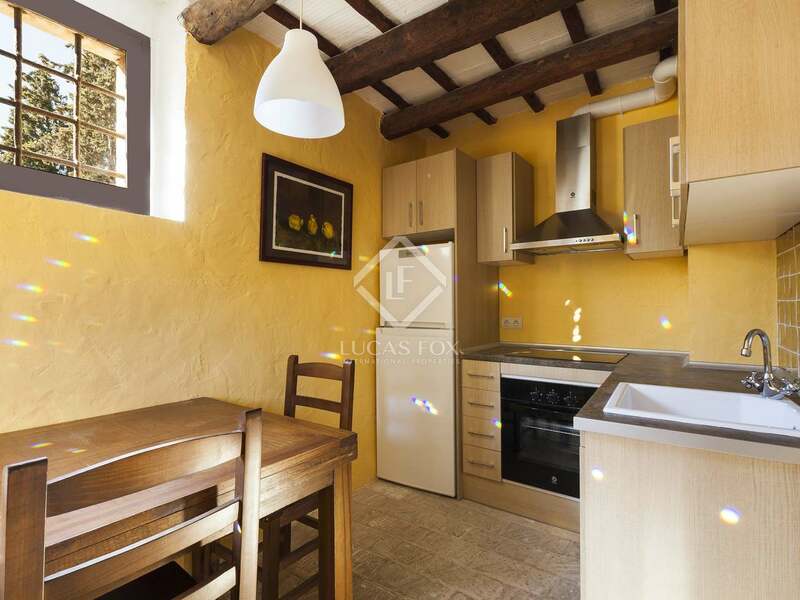 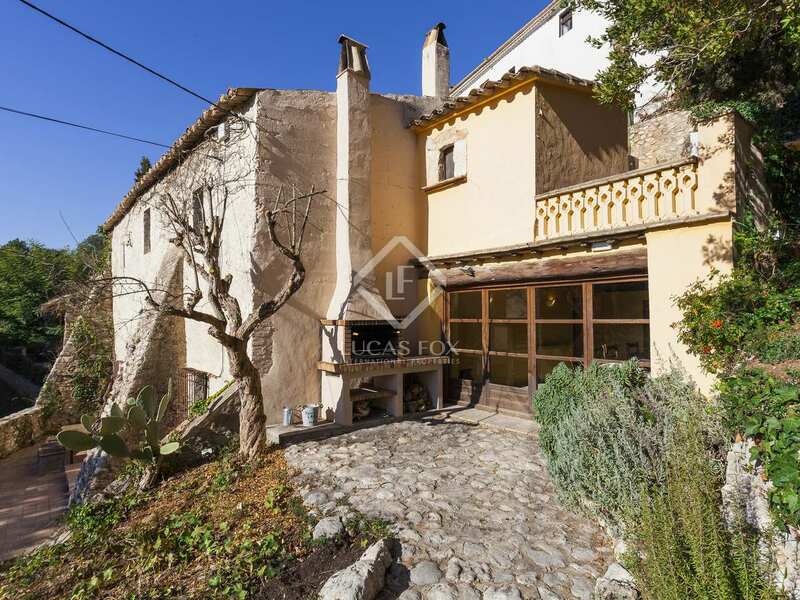 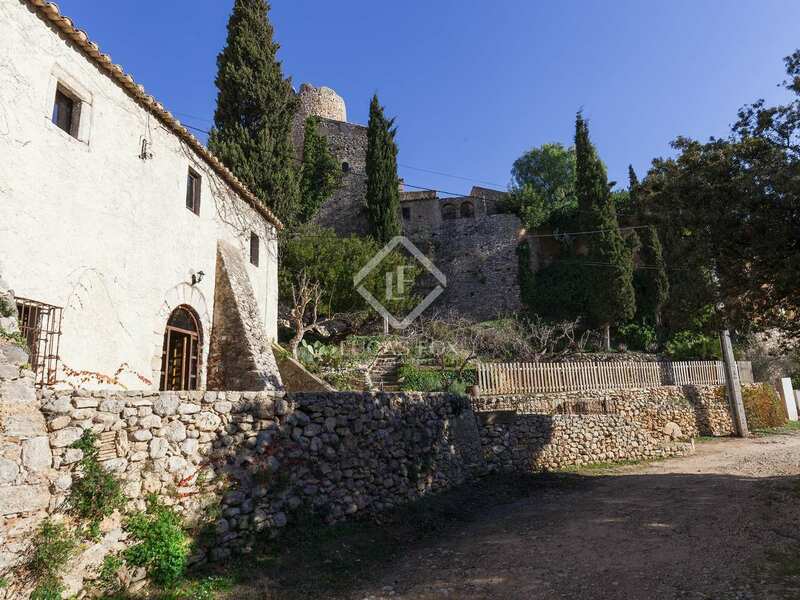 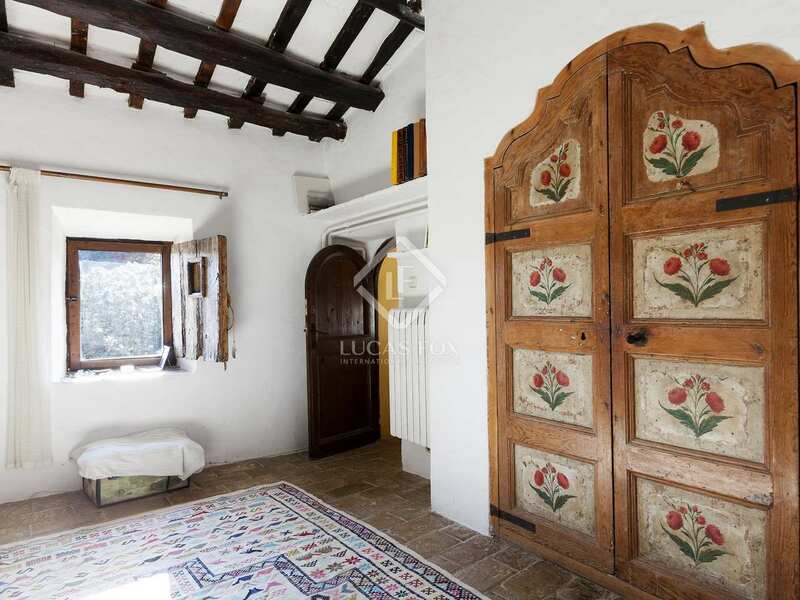 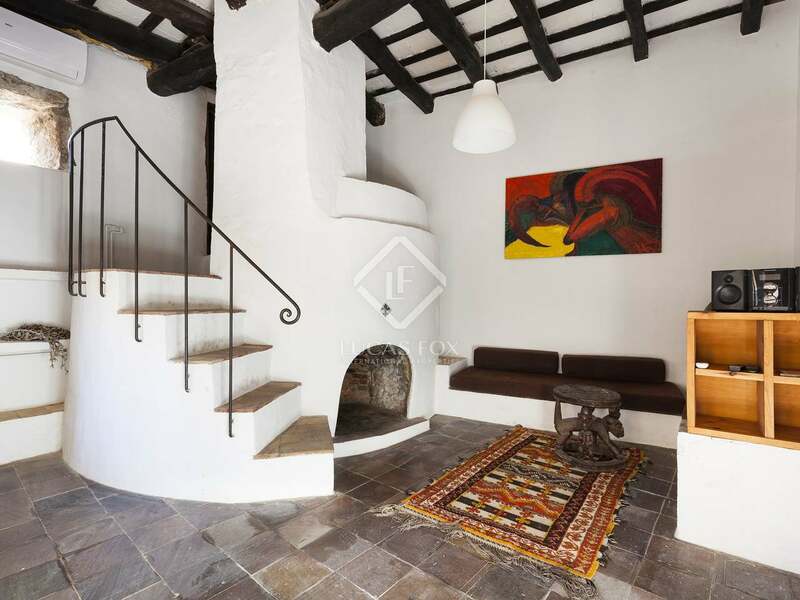 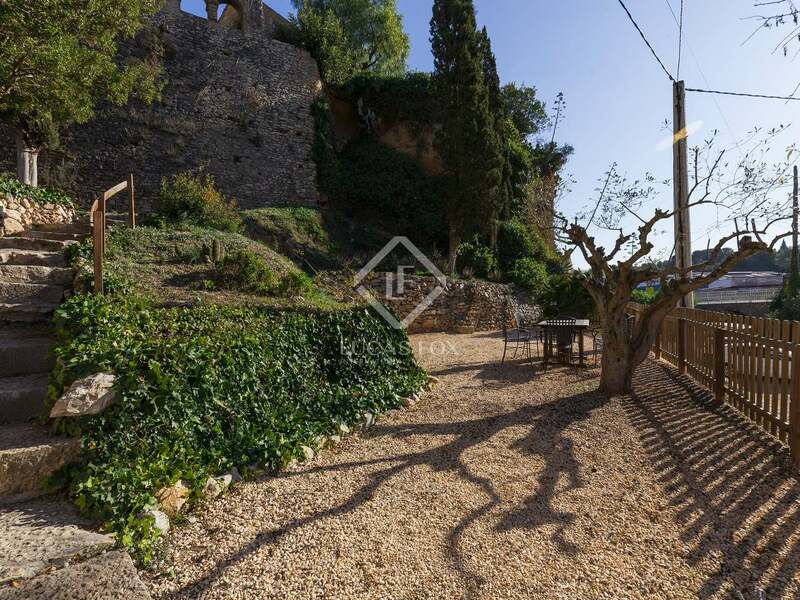 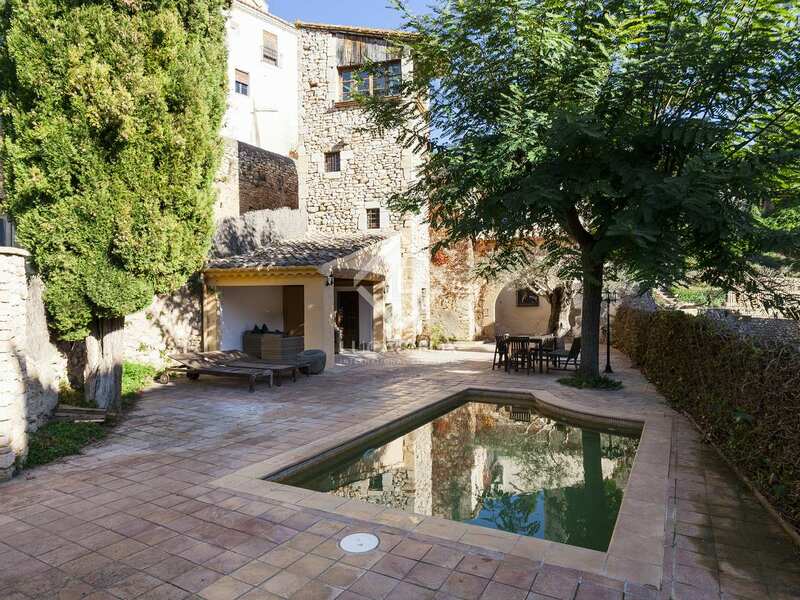 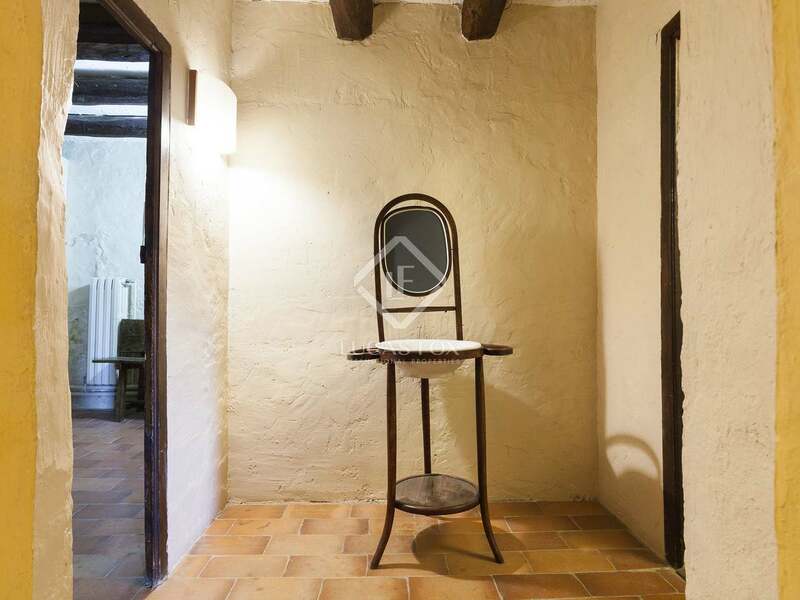 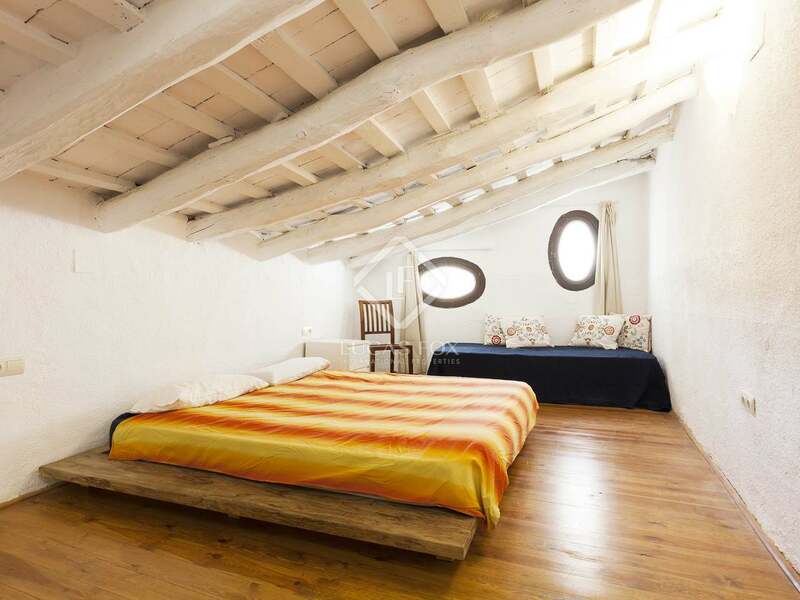 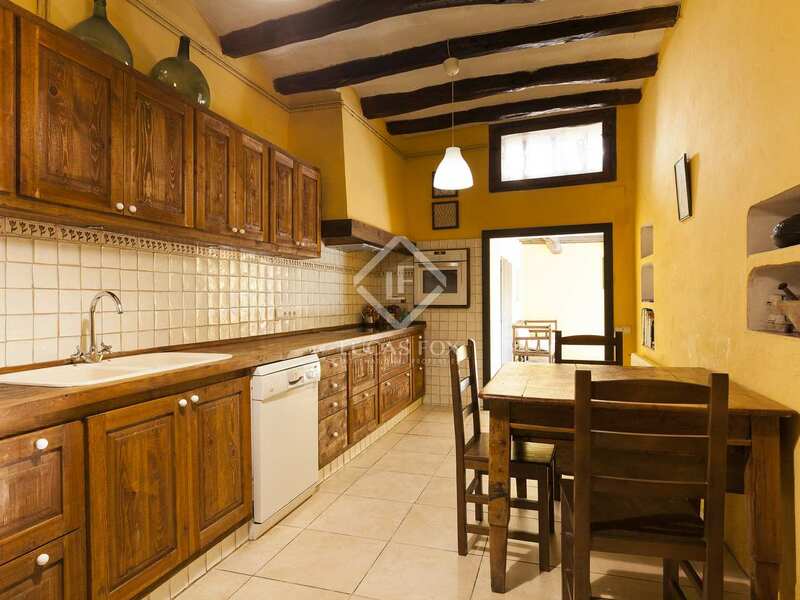 Historic masia for sale in Sant Pere Ribes, in a quiet area of town below the castle. 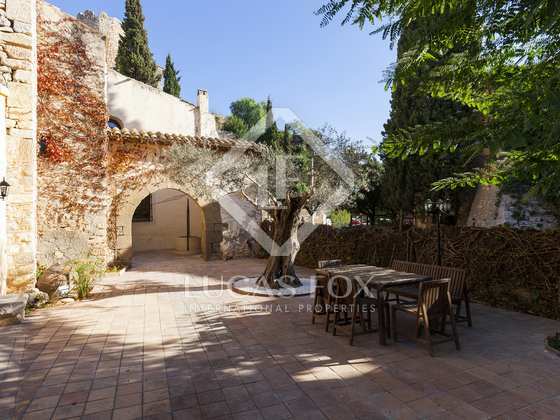 Walking distance to all amenities, also parks and a sports centre as well as public transport to Sitges and Barcelona. 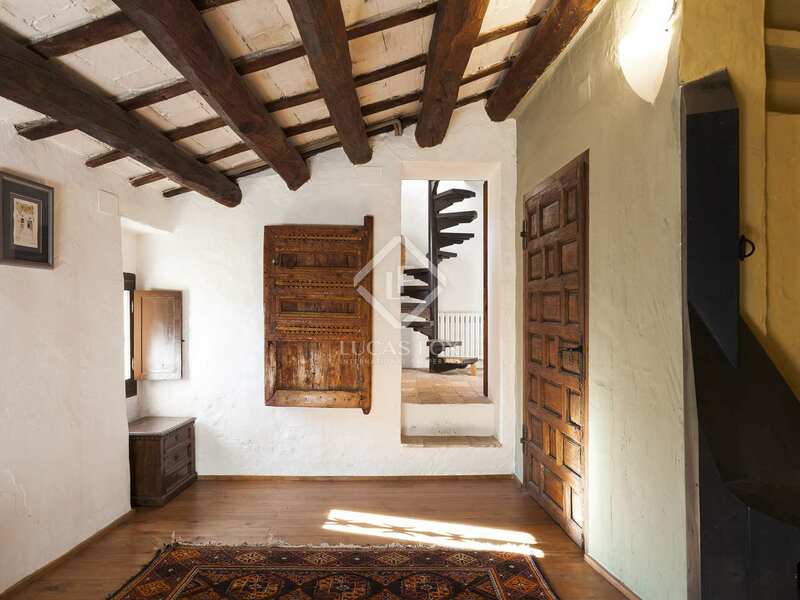 Sitges is a 5-minute drive away.